Here is the list of current and upcoming polybags in the LEGO world. If you've found a polybag that's not on this list, or have any update to give us, please note it in the comments below. This information is put together from a number of different sources on the Internet, including real world reports. Availability in your area may vary. This information is US-based. These are from within the last 12 months. Hopefully I can grab a bunch of them since I work E3 every year. I found 2 at this target and 1 at a different. I just happy to see something other than the TIE fighters. They got a refill on the space vehicle too. I really want those Lego dimensions polys. 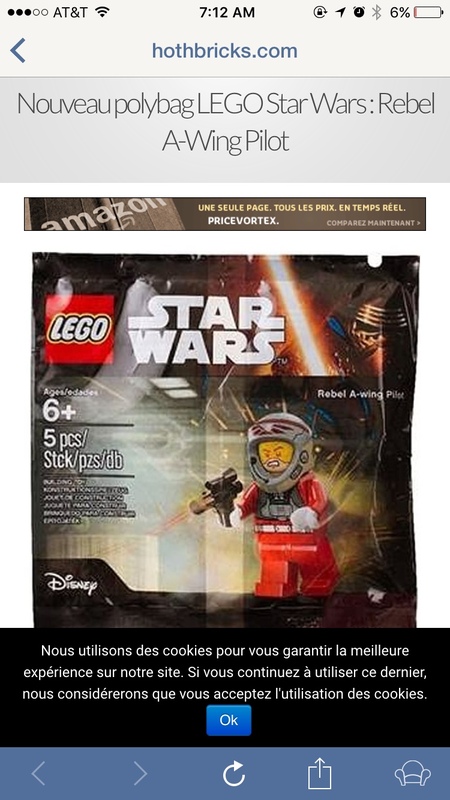 Star Wars Cruiser polybag? Do you mean First Order Star Destroyer? 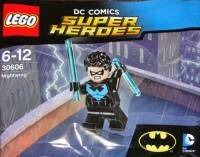 According to Bricklink that's from 2011. I find those on occasion too. Maybe 3 in the last 6 months. Always a pleasant surprise. The same target had a box of series 10 minifigs which i promptly purchased. Obviously theyd been clearing out their backrooms. Okay, okay: I'll go tonight...I'm keeping my hopes low, though. It's rainy and I bike commute...better end up with something fun! My Target still had quite a few of Poe's X-Wing sets at the register, along with a smaller number of the TIE Advanced Prototypes. 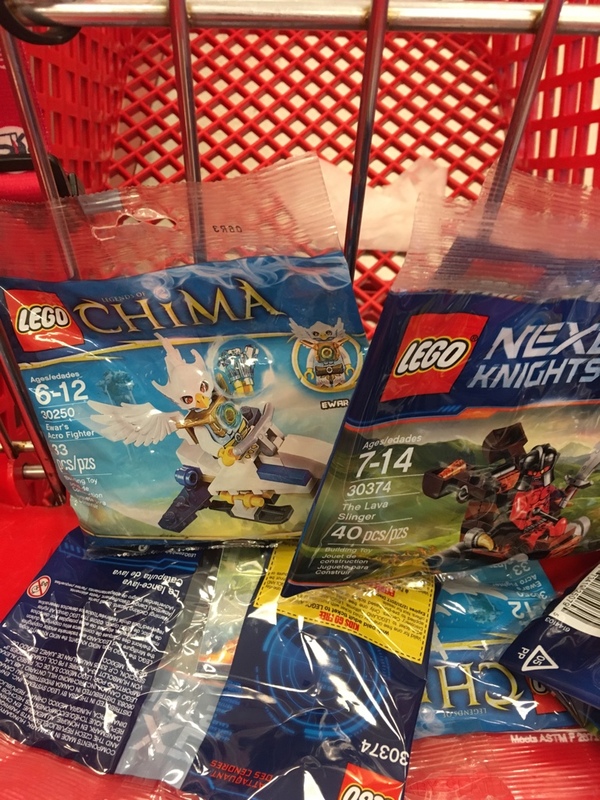 Also found three Chima - 30256 (Iceklaw), 30250 (Ewar), and 30265 (Worriz). One lone City set (30314) is now in my possession. Mostly, though, it was Nexo Knights 30374 (Ash Attacker). Grab all the 30256 you can. 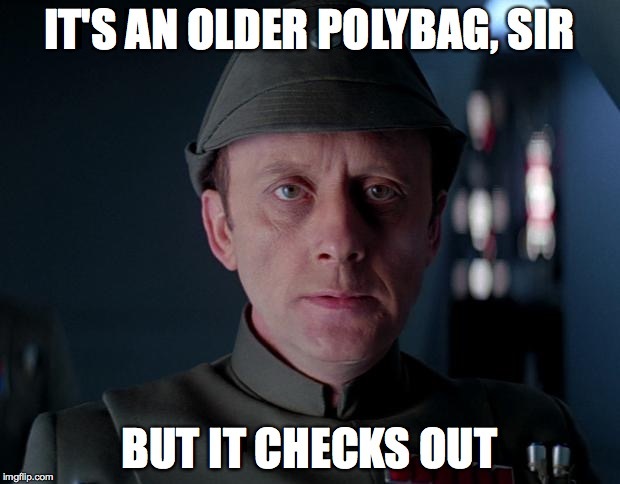 There's a part that's unique to both 30256 and the Bat Pod. Wish I'd known while I was there- they had several! Might have to run back out later. I guess my days of parting out ice mechs are numbered. Ive been twenty targets in the last 2 weeks and this is the only one that had them, im sure you can keep parting out just fine. That is good to hear. But more and more people are looking now. I guess a flood of high priced pieces is better than a stream of ignorance. I got nothin': nothin', I tell you. So sick of lava after enjoying Poe, FO TIE, etc for so long. does anyone knows if there is still TC-4 available at LEGOLAND florida ?? ?